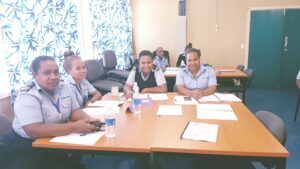 The National PACER Plus Rules of Origin (ROO) Workshop was held from 22-23 November, 2018 in Honiara, Solomon Islands. The national workshop was supported by OCO with the funding from the PACER Plus Readiness Package. 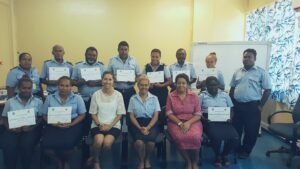 The workshop was facilitated by two Solomon Islands Customs & Excise Division (SICED) pre-accredited ROO Trainers and a total of thirteen Customs officers participated in the Workshop. The objective of the workshop was to deepen the knowledge and enhance the capacity on the implementation of PACER Plus ROO in Solomon Islands when the Agreement comes into force. SICED Acting Comptroller of Customs, Ms. Sarah Wickham in her address to the participants “acknowledged the OCO Train the Trainers Program, which have allowed for the development of local trainers with the skills to design and implement ROO training programs at the national level and when required at the regional level. 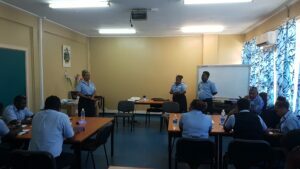 The Training has ensured Customs awareness on the PACER Plus ROO and more importantly the need to educate the private stakeholders on the ROO”. This activity is part of the ongoing capacity building program to strengthen PACER Plus signatories capacities to implement their commitments under the Agreement.